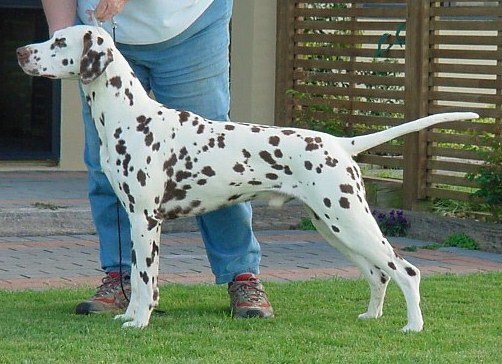 Sired by New Zealand's top all time winning Dalmatian, Brooklyn has beautiful spotting, a lovely headpiece and ground covering sidegait. Brooklyn has moved to northern Virgina with the Jackie Beal and Chuck Clemons where she is now shown by Jackie. Owners: Jackie Beal & Mary-Lynn Jensen, Ph.D.